September 2016 Newsletter – Issue 5 – GLOBAL ONCOLOGY, INC. Gifts to GO that cost you nothing! 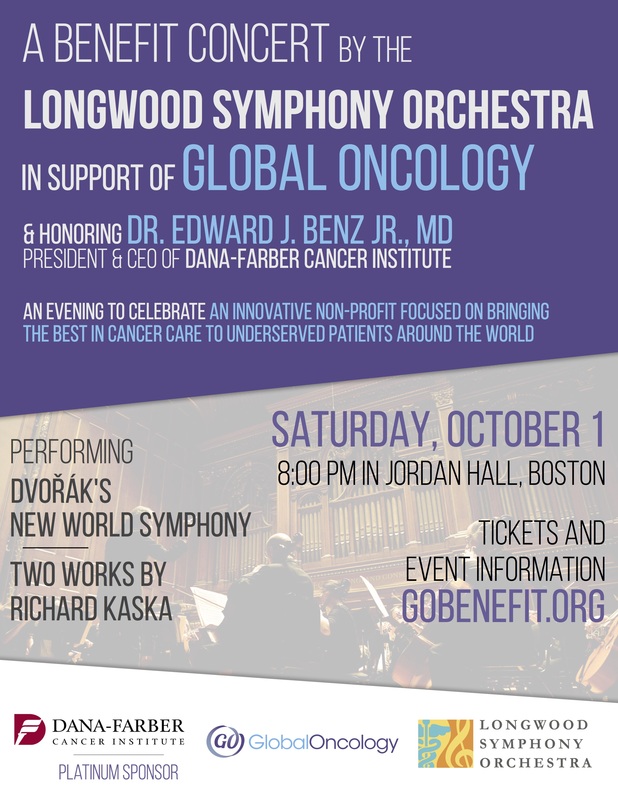 After four years of grassroots efforts and accomplishments – including the Global Cancer Project Map: gcpm.globalonc.org and Cancer Education Materials for low-literate patients – GO is hosting our first-ever fundraising event in Boston’s famed Jordan Hall on Saturday, October 1st. We will partner with the Longwood Symphony Orchestra, a volunteer organization of “medical musicians”, for a beautiful evening of Mozart, Dvořák and Kaska. At this event, GO will present our First Annual Global Oncology Visionary Award to Dr. Edward J. Benz, Jr., President and CEO of the Dana-Farber Cancer Institute, longtime friend and supporter of GO, and leader in improving access to high quality cancer care. We sincerely hope you will join us on 10/1. Visit the GO-LSO Event Page to purchase tickets. If you cannot attend, please consider making a contribution to GO’s work. The last quarter has been exciting for Global Oncology (GO) and our Cancer Education Materials (CEM) project. The materials are gaining traction and attention in a variety of ways. GO’s cancer education materials are being delivered to new countries and soon will be adapted for new modalities. Over the summer, booklets were translated to Setswana for use in Botswana, and further refined, with input from Rwandan colleagues, for use in a study in a Rwandan cancer hospital. We look forward to sharing that work with you as it develops. Based on the success of the first “Cancer and You” booklets, the GO team is looking for funding to develop the materials for pediatric oncology and radiotherapy. Send us an email if you have interest in adapting GO’s booklets for your particular use or if you know of interested partners. GO’s first-of-its-kind global cancer hackathon in partnership with CAMTECH and MIT Hacking Medicine, was immensely successful. 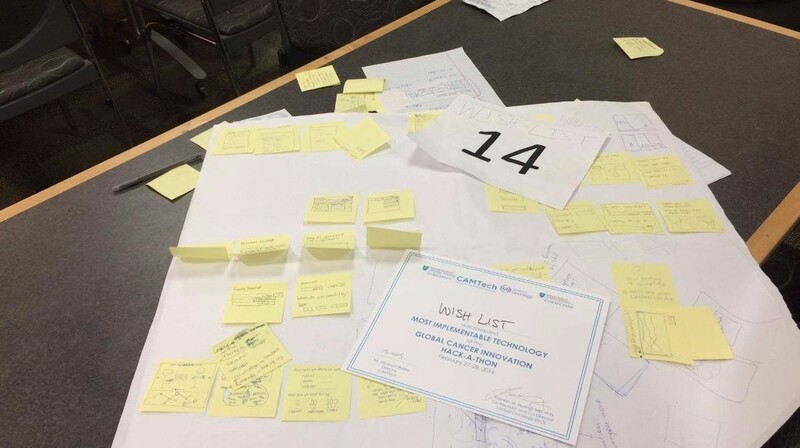 It hosted 140 participants from all around the globe, mentors in the US and abroad and resulted in the formation 24 teams with innovative solutions for cancer care delivery. 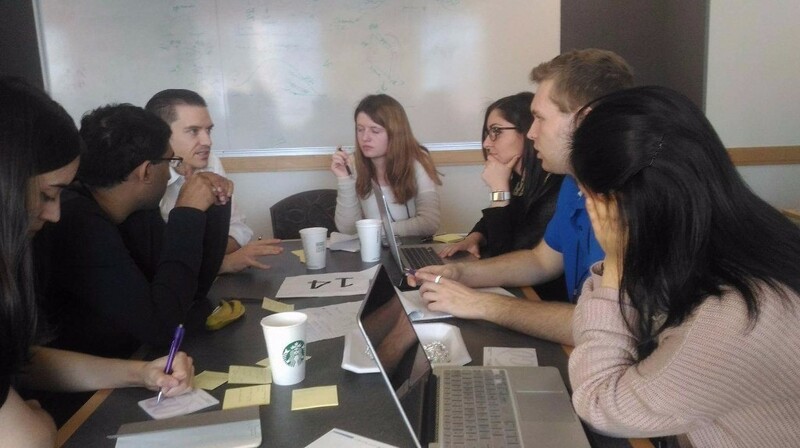 The Hackathon shattered barriers and misconceptions about delivering technically complex medical care in an affordable, effective, and safe manner. Several months after the completion of the Hackathon, 14 teams – more than half of all teams – remain engaged in their innovative work and participated in a competitive post-hackathon prize. 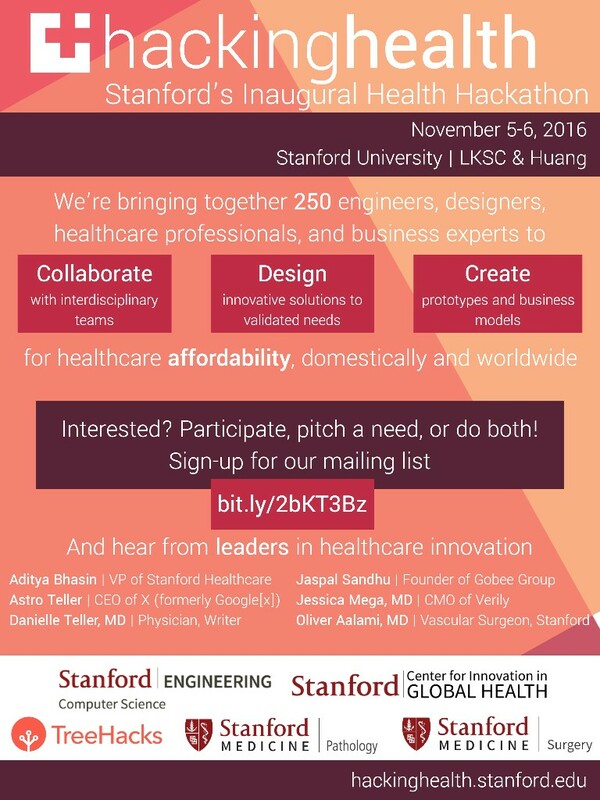 Building on the success of the first-ever GO Hackathon, Stanford, with the support of GO volunteers, is now hosting its own hackathon – Hacking Health – on the broader topic of healthcare affordability – domestic and worldwide. If you want to participate or have project ideas, please sign up here. For inspiration, read a hacking perspective by GO hackathon participant and Harvard Medical School student, Gavin Ovsak. Fred Hutchinson Cancer Research Center seeks exceptional applicants for a full-time senior faculty leadership position in the Global Oncology Program at the Full Member level (comparable to Professor). The primary responsibility of this position will be to serve as the Program Head of Global Oncology in the Vaccine and Infectious Disease Division at Fred Hutch and to lead the development and execution of Fred Hutch’s global oncology research agenda, encompassing basic and translational research, innovative prevention and treatment, and implementation science. 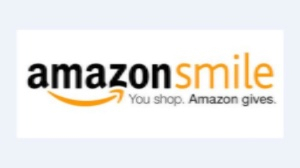 Amazon Smile: Do your everyday shopping on Amazon via this link. Every item you buy will do double duty by seamlessly generating a donation to GO – a gift that will cost you nothing! 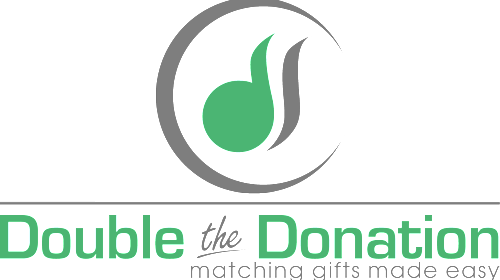 Double the Donation: Make your gift GO even farther. Find out if your employer matches philanthropic gifts. Many do! Copyright © 2016 Global Oncology (GO), All rights reserved. © 2018 GLOBAL ONCOLOGY, INC. All Rights Reserved.